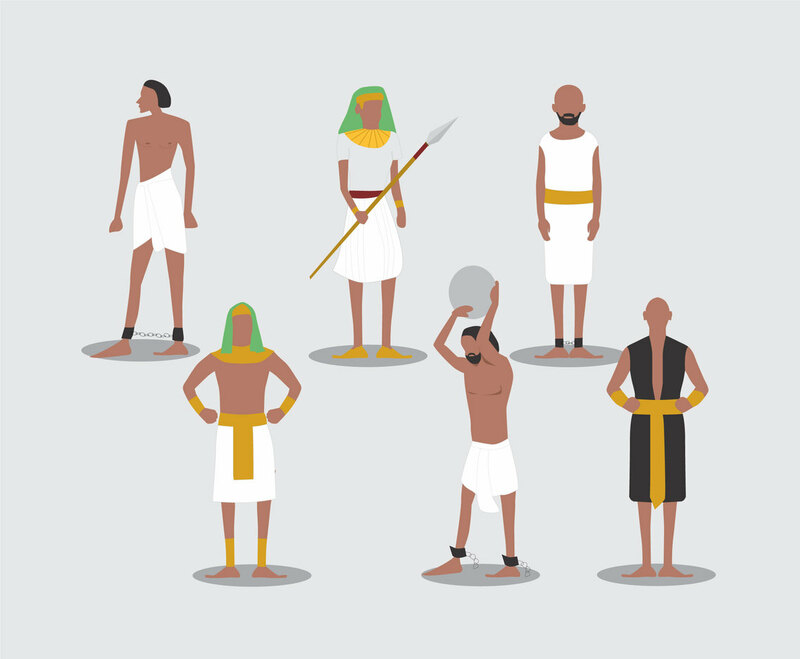 Here is a set of ancient Egyptian vector that you can download for free. The illustration style s flat and simple. It will be great for part of design element in educational poster or infography of ancient Egypt historical life & culture.